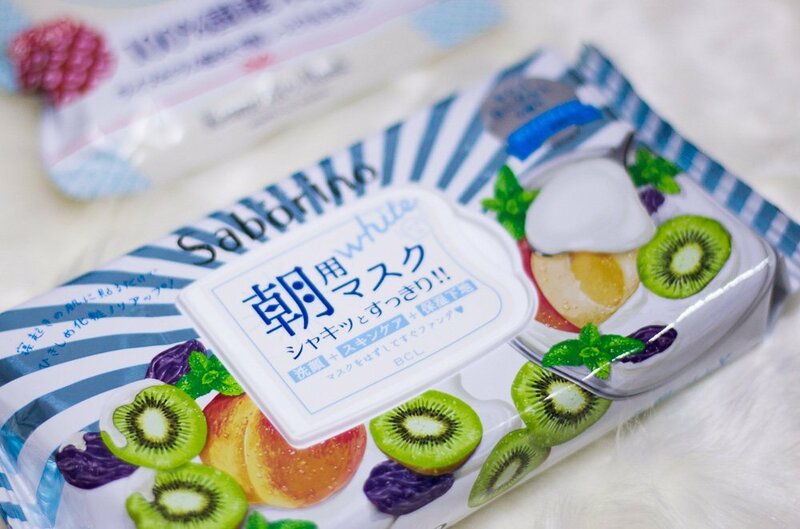 Hands down my favourite sheet masks. They feel very gentle on the skin and provide an instant brightening effect. 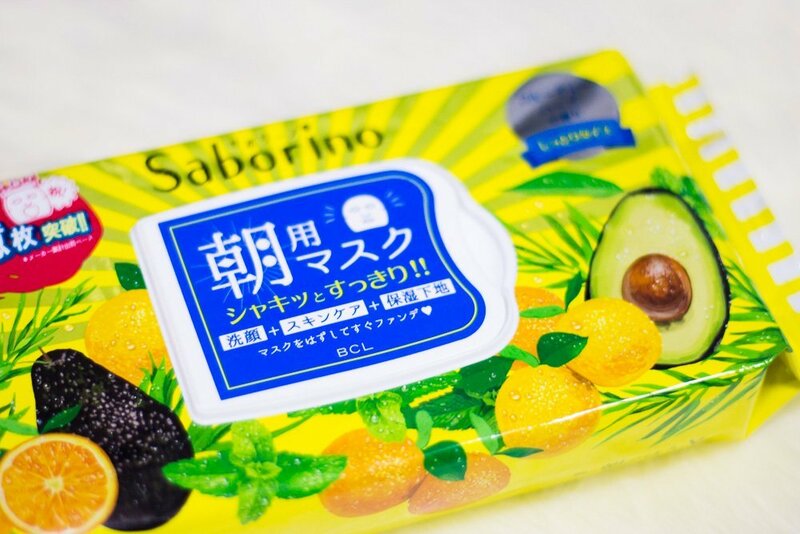 Pity they were super difficult to find in both Tokyo and Osaka, not because the stores didn’t stock them, but because they were sold out everywhere. One of the drug stores we visited only sold them if we buy with some supplements which was like 4000+ yen? 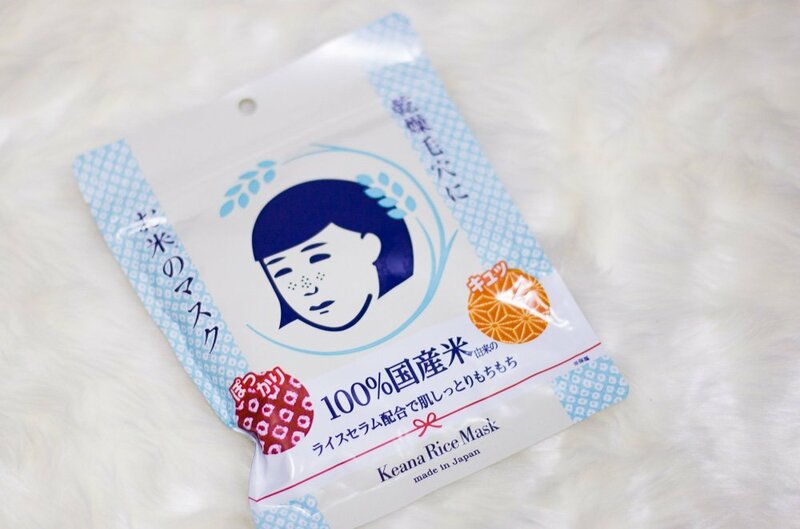 This pack of sheet mask only cost 600+ yen! In the end, we found the masks in the ‘outskirts’ of Shinsaibashi at a marked up price. 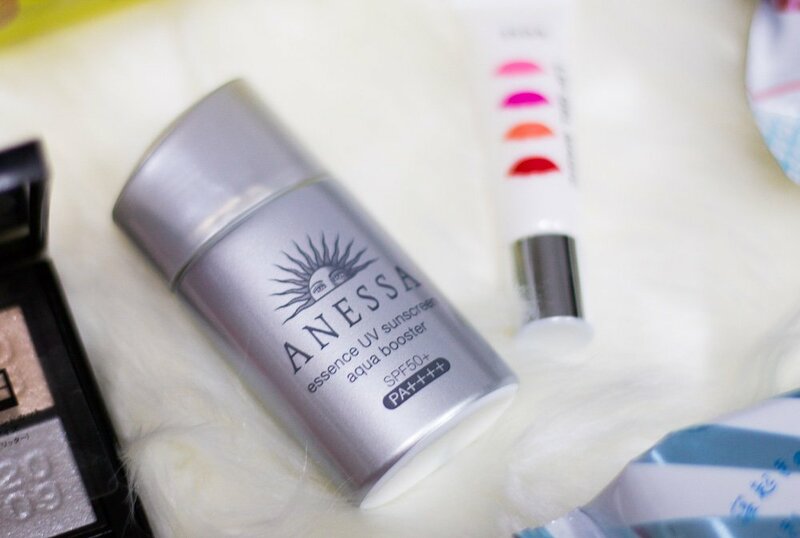 Another one of my favourites (I’m on my third tube already) is the Anessa essence UV sunscreen. This thing legit works. I get dark very easily and this sunscreen prevents that. No white cast too and the serum-like texture makes application very easy and no need to tug at your skin. It’s a little on the oilier side, so may not be for everyone. I like the dewy finish though. This is not yet at the holy grail standard but works for now, until I find something better. Does a great job in volumizing, doesn’t clump too. The brush works for my eye shape and I haven’t had it smudge on me yet. I’ve got this in black and the pigment is dark, like pitch black. A lot of eyeliners in the market is somewhat grey which just isn’t what I’m looking for in a black eyeliner. This liner dries waterproof and the pigmentation doesn’t budge for an entire day. The ink flows generously from its narrow tip which helps to achieve a smooth, controlled line. Downside is that it dries up pretty fast, say about a 6-9 months and it’s on the pricier side. I buy this in bulk in all shades of brown whenever they’re on sale. I think I have gone through at least 10 of these. They’re perfect for everyday wear, long-lasting, doesn’t smudge, doesn’t flake unless you rub them (except at the corners if you don’t draw them dark enough) and they last pretty long. It’s also a lot more affordable than the mote liner. You can get them in Singapore but it’s slightly cheaper in Japan. Another daily staple which I stock in bulk. 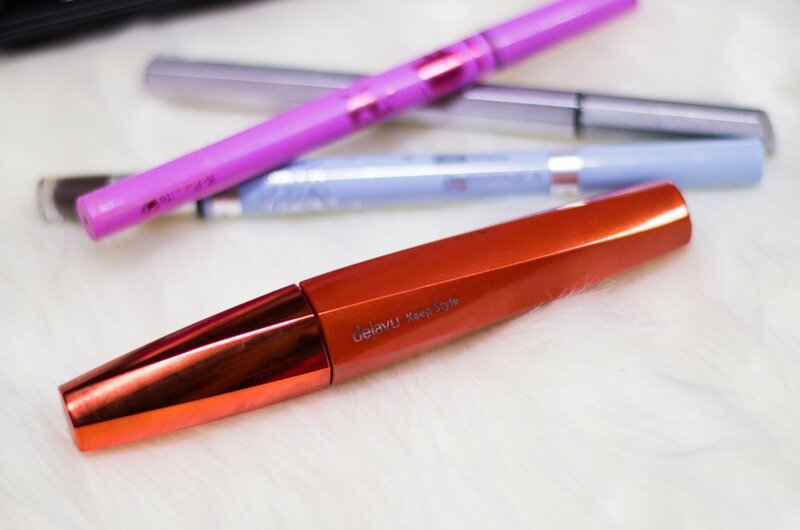 They are incredibly nifty for quick, natural eyebrows. Just do a few swipes with the pen end to fill in the colour and switch to the powder side and give it a couple more swipes for a softer, more natural finish. Pity the liquid end finishes very quickly, about 3 months for me. 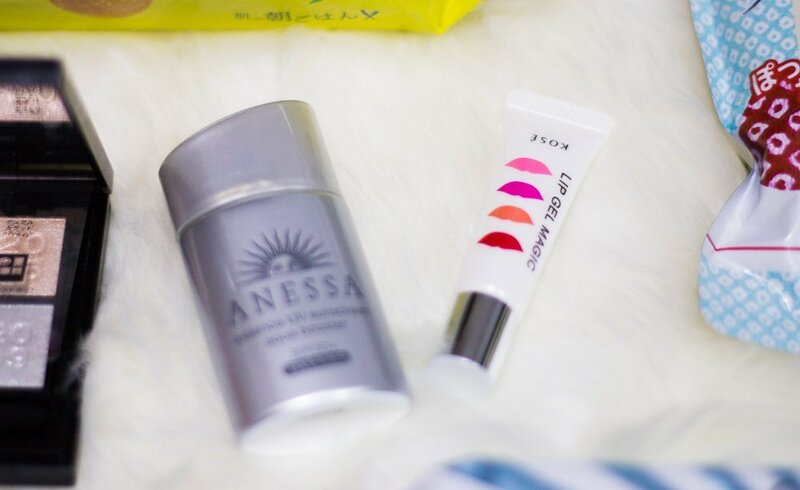 The Kose Lip Gel Magic is like an additional layer over your lipstick to make it transfer-proof and last longer. I used to have the CLIO lipnicure which is somewhat in the same department. But that one resembled nail varnish and went on too thick and I was resistant to use it even. I was slightly wary of this Kose one after my experience with the lipnicure but the lip gel magic exceeded my expectations. It’s a whitish gel (you need to shake the tube a little before using or it will come out all fluid-y) and I use my finger to brush it over my lips after I’m done with my lipstick. It shouldn’t alter the finish of the lipstick but I did observe that my mattes become a bit more waxy and the glossy ones a little more matte. It does make your lip pigments transfer-proof (to a rather large extent) but I found it slightly drying so I always keep my lipstick, lip balm and this handy so I can reapply during the day. Less touchups than usual. These are quick 60-seconds masks to use in the morning. I’m still on the yellow box (after a year perhaps….) and haven’t touched the white one. If internet can be trusted, you can replace your facial cleansing routine in the morning with this mask. After 60 seconds, you can use the sheet to wipe your face and it will suffice. I do this once in a while and it works for me. I also like the minty essence which is especially refreshing in the morning. This was a limited edition so I’m not too sure if you can still get it but if you do see it, just grab it! I mega-love all the shades. Sure, they are not very pigmented but they are so shimmery and sweet, it’s hard to resist. Perfect for a simple, natural day look. 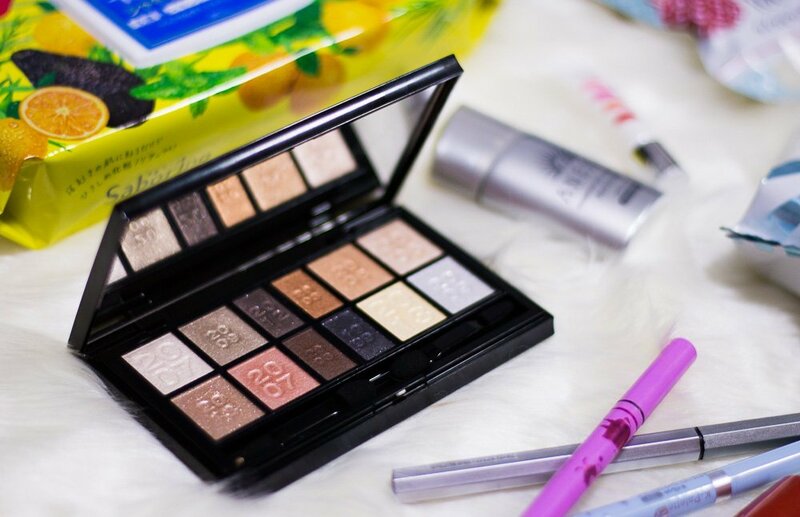 I sometimes use the fairer shades for the inner crease. p.s. the 2007 pink is super super pretty. Hi dear, aside from color selection…between K-Palette Real Strong/Lasting Eyeliner & Flowfushi Mote Liner, which one do you find is better/superior in smooth/ease of application & staying power? Thanks in advance dear!